This paper presents the Seabotix BTD150 thruster model for a Remotely Operated Vehicle developed by Underwater, Control, and Robotics Group, USM. The bollard-pull experiments to find the relationship between th input signal from Arduino Mega 2560 in Pulse Width Modulation (PWM) and the thrust force for Seabotix thrusters by using spring balance in kilograms unit. Result shows left and right thrusters lose 10% thrust force where the thruster attached outside ROV. A center thruster loses 30% where thruster attached at the center ROV. The parameters identified through a low-cost bollard pull experiment which done in laboratory water tank. 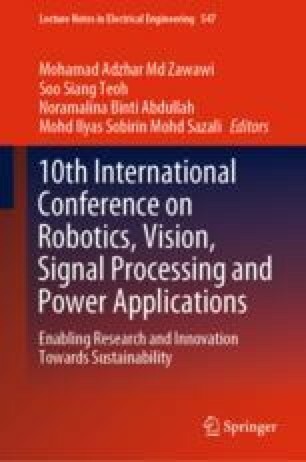 The authors would like to acknowledge FRGS (Grant number: FRGS—6071346), Universiti Sains Malaysia and Underwater, Control, Robotics Group (UCRG) for supporting the research.